We are here to communicate with those who wish to receive our love. Our knowledge is simply an accumulation of wisdom, light and experience of the Source One that is All. 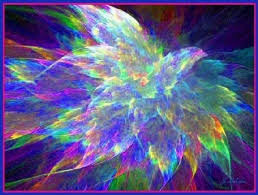 We are going to offer you all some acknowledgement of your authentic love light. And we are here to assist your transition of your Memory Matrix. The linearity of your recent timelines has significantly limited your expansion into the Core Memory Matrix of the Creator Source All That Is. Your current Memory Matrix is breaking down now. There are many glitches within this neural network. One obvious example of this is, in fact, the Mandela Effect. Your thought-forms and memory encodements anchor the perceptions of “the way it is” as a collective and individual perspective. As the false linear matrix begins to unwind, the collectively held sheath that is your collectively supported reality and perceived structures will, inevitably, glitch, shift, dissolve, you name it. The Source Memory Matrix is inherently woven within the Akash. Your actualization of remembering the Source Memory Matrix is not only dependent upon your positively charged light quotient, though it is also determined by your ability to reprogram your neural pathways. Humans currently believe that in order to reprogram neural networks and the electromagnetically charged neural pathways there is a requirement of recognition of the undesired belief systems and patterns, addictions, redundant thought-forms and actions. Then, once these are recognized they must be interrupted and altered, whether this be individually or several in one full swoop. This is inaccurate from a Source Encodement standpoint. Albeit this is effective on a linear plateau, this is ineffective within the access gateway or “corridor” within the Source Memory Matrix. The reason why is quite simple in nature, as is all Source Awareness. The linear structure requires an alignment with categorical “truths” and separate pieces that make up a whole. All of the moving parts must be addressed, taken apart and put back together. This is much like a child learning to build and stack blocks that are placed individually in a particular order that can reveal a puzzle pieced together in an orderly fashion. Though within the awareness of your unified field of consciousness there is simply the attunement to the perfected nature of Creation Source All That Is. 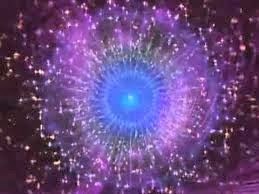 All re-assimilates to align and attune with the true formlessness that is light energy in synchronous alignment. Solids do not exist, separation does not exist, so nothing is apart, and everything is formlessly in sync. Humans can comprehend this easily and efficiently by remembering that at your base components you are vibrating energy that cohesively attracts more light and energy through your electromagnetic matrix. Your density existence creates the experience of solid and separate. 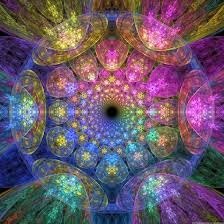 Though your core, foundational “building blocks” are pure energy cohesively integrating and “communicating” through a unified matrix structure. This is pure Source Encodement. I digressed into this clarification to help you register that your beliefs often over-impose upon the simple truth of your existence. As your recognition of your unified energy source becomes more consciously held at the forefront of your daily remembrance of self-source essence, your comfort zone will expand to allow linear “memories” to melt away and glitch out. These will transfer into an innate expansion and recognition of the more purified Source Memory Matrix. Nothing can hide with the Unified Field. All truths are obvious, apparent and accepted. Separation does not exist, therefore resistant is unnecessary. We will leave you now with this idea. We invite you to share your F.E.A.R. (false evidence appearing real) with us. Share your daily fears, your primordial fears, your collective fears and your unconscious fears. This process is also simple. Just breathe into the gentle allowance of being received. We “see” all. This practice shares your ability and desire to be attuned within the Unified Field and Source Code Matrix. This practice allows an innate knowing, that we are all one, to proliferate into your psyche (the keeper of your linear matrix program). We are always with you. Be well and be one with the light that is Source Creation Almighty… You.